Is the Apple Watch just another distracting device? The time is coming for each of us to decide – do we buy this new Apple Watch or not? There are many choices and price points for the product, plus we can expect third parties to provide accessories and apps to make these products even more individualised. I’d love an Apple Watch to keep my golf score – an app with that function is appealing and saves me looking for a pencil to record my progress when I’m on a course. What else? Being the sports nut that I am, the cricket score, rugby or basketball progress would also be nice. Yes I can do all of these things on my iPhone 6 but for a few months no-one would be the wiser. The Apple Watch is not waterproof, so keeping track of my laps in the pool is not going to be possible. So is the Apple Watch just another distracting device? So often I see drivers behind me in traffic with one hand on the wheel and the other on a smartphone. It just annoys the heck out of me and makes me a little concerned about a potential accident. Avoiding people who are walking down the street with their heads buried in their smartphones can be just as hazardous. Also in the office, we consider it rude to be playing with one’s smartphone when there is important business at hand. At least the Apple Watch is hands free. At the moment, My Apple iMac, iPad, and iPhone all make ‘ding’ noises within a few seconds of each other when I receive a message. Do I also want a fourth device to ‘ding’ me? Ok, so if it’s still on my wish list then which model would I buy? There is a range from A$499 for a Sports model to a price tag of A$24,000 for a watch at the very top of the range. That top model is encased in 18 karat gold but if you really want to splash out then buy a Brikk, yes that really is the company name. At US$115,000, a Brikk costs about the same as a really nice sports car, and it’s covered with diamonds. The Brikk is an Apple Watch that has been augmented and stylised – and you’ll have to wait six weeks after the launch date to get one. What’s going to happen in April when this goes on sale? Will the public accept the luxury price for a watch that needs to be recharged every 18 hours? Yes, the Apple Watch works like a Fitbit or other wearables that track your fitness. However, I can buy a Fitbit for $100. GPS devices on the market also have turn-by-turn navigation (helping me to avoid those walkers I referred to earlier). Other devices have facial recognition for those embarrassing situations when you know someone walking towards you but you simply can’t remember their name. Sadly, the Apple Watch does not have this capability. Let’s remember we started with one screen, the TV. We added a second, the computer; and a third, the smart device. Will the Apple Watch become our fourth screen? As a complementary product, the Apple Watch uses WiFi and Bluetooth to pair your new timepiece and then connect to the outside world. In short, it is a fourth screen that is reliant on others to be effective. Without connectivity, it’s just an expensive watch. The irony is that the advent of smartphones has seen Generation Y not even bothering to wear a watch and I’ve seen them laugh at the oldies with their dated timepieces. Mere items of jewelry they say. There is no question that the traditional watch makers have struggled to generate demand. However there are a few exceptions and classical Swiss watchmaker, Rolex, has enjoyed a rise among the middle and upper class in China. Now Apple is getting into the luxury market, but with a technology twist. I’ve told myself that I won’t buy an Apple Watch and no amount of technology envy will make me. But future apps might just make me change my mind. Apps have made the iPhone and iPad much more compelling. So if anyone at Apple is reading this, I’d be delighted to test drive an Apple Watch with that wonderful golf score app. And while you are there, if the watch can also measure my swing to get the right tempo and monitor my heart rate when I putt, that would be fantastic. Then I’ll be sold. I might even splash out on a sports model! David Gee is the former CIO of CUA where he recently completed a core banking transformation. He has more than 18 years' experience as a CIO, and was also previously director at KPMG Consulting. Connect with David on LinkedIn. 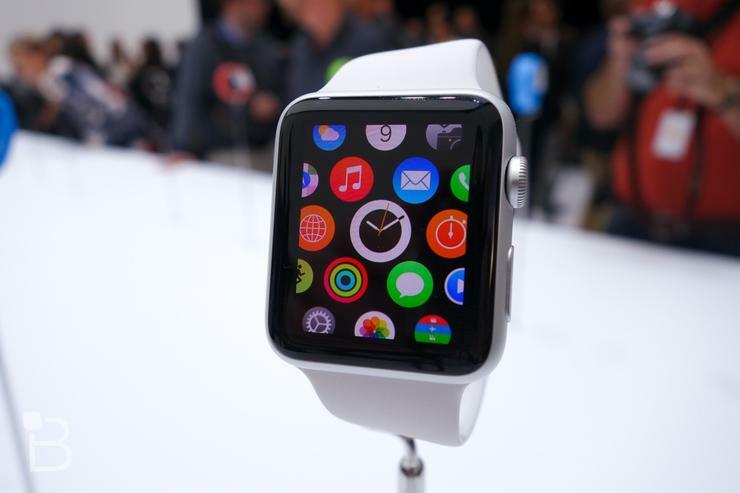 INSIGHT: Is Apple Watch excitement waning?